Galileo De Obaldia from Panama competed in the World Championship in 2010, 2011, and 2015, placing in the Top 4 each time. In 2010, he won the event and become World Champion! 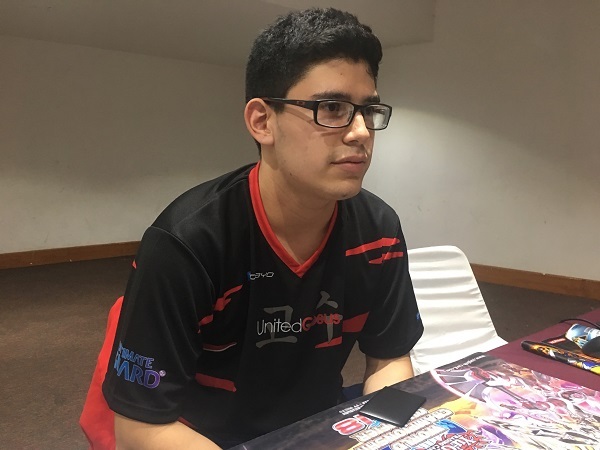 Now he’s back, Dueling in the Central America WCQ in an attempt to regain an invitation to the World Championship being held in Japan later this year. But first, he’ll need to defeat his Round 1 Feature Match opponent, Miguel Reyes from Mexico! 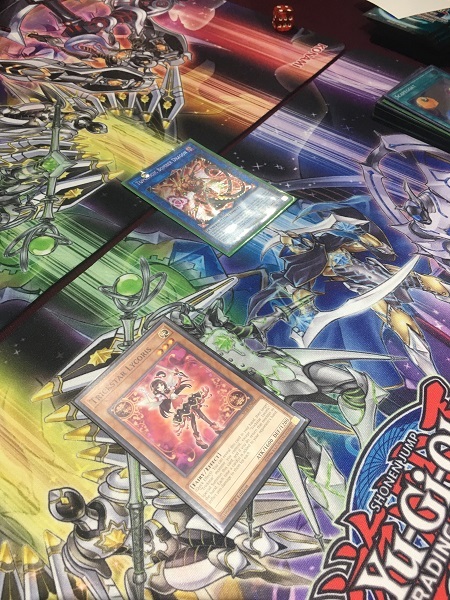 De Obaldia is using a Trickstar Sky Striker Deck featuring Phantom Skyblaster to enhance his Link Summoning plays. Reyes is using Trickstar Sky Strikers as well. 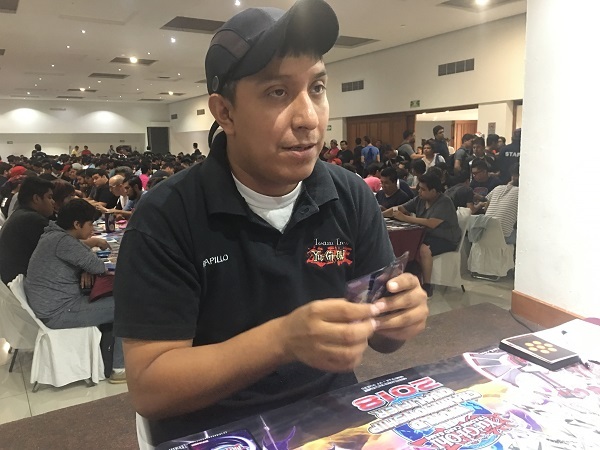 The Trickstar Sky Striker Deck is proving to be a prevalent force as early as Round 1 here at the Central America World Championship Qualifier. It’s time to Duel! Reyes started off the Match by setting 4 cards to his back row and passing his turn. De Obaldia opened up with Trickstar Reincarnation, Trickstar Candina, Ash Blossom & Joyous Spring, Mind Control, Phantom Skyblaster, and Trickstar Light Stage. Reyes activated Trickstar Reincarnation right away in the Draw Phase, and Reyes discarded Ash Blossom & Joyous Spring to negate it! Next, De Obaldia activated Trickstar Light Stage and added Trickstar Lycoris to his hand. 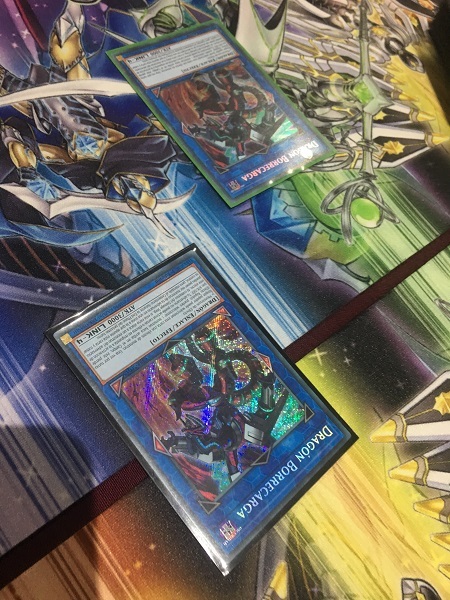 Reyes flipped another Reincarnation, and De Obaldia banished his hand to draw 5 new cards: 3 copies of Sky Striker Mobilize – Engage!, Trickstar Candina, and Shared Ride! He Set 2 copies of Engage along with a Shared Ride and then used one copy of Engage to add a Sky Striker Maneuver – Jamming Waves! to his hand; but Reyes flipped his third Reincarnation! De Obaldia banished his Jamming Waves and Candina from his hand to draw Scapegoat and Pot of Desires. He used his Light Stage to pin down Reyes’s last face-down card and then activated his face-down Engage to add Sky Striker Mecha – Hornet Drones from his Deck to his hand. He used Hornet Drones to Special Summon a Sky Striker Ace Token and then used that Token to Link Summon Sky Striker Ace – Kagari. He activated its effect, but Reyes discarded his last in-hand card to negate the effect: Effect Veiler. Next, De Obaldia used another Engage to add another Hornet Drones to his hand and draw a card. He used Pot of Desires next, banishing the top 10 cards of his Deck face-down to draw Phantom Skyblaster and Droll & Lock Bird. De Obaldia activated another Hornet Drones to Summon another Token next, and then Summoned Phantom Skyblaster! He used its effect to Special Summon 3 Skyblaster Tokens to the field, and then combined a Skyblaster Token with Kagari to Link Summon Space Insulator. He combined Phantom Skyblaster with another Skyblaster Token to Summon Nightmare Phoenix behind it, and then used its effect to discard Reincarnation, destroy Reyes’s face-down Sky Striker Mecha – Widow Anchor, and draw a card. He activated another Light Stage to add a Lycoris to his hand and then combined Space Insulator with his Sky Striker Ace Token to Link Summon Knightmare Goblin next to his Phoenix. He discarded Droll & Lock Bird to gain a Summon and draw a card with his Goblin’s effect. Next, he Normal Summoned Lycoris thanks to his Goblin. He sent his last Token to the Graveyard to Summon Link Spider in the Extra Monster Zone, and then attacked directly with everything, dropping Reyes down to 2000 Life Points. Finally, De Obaldia Link Summoned Knightmare Cerberus by using Link Spider and Lycoris as Link Materials. Reyes had no cards in his hand or on his field. He drew a card and conceded, completely overwhelmed after using 3 copies of Trickstar Reincarnation to no avail. Reyes started off Duel 2 by activating Terraforming to add Trickstar Light Stage to his hand. He activated it and used its effect to add Trickstar Candina to his hand. He activated Sky Striker Mobilize – Engage! next, using its effect to add Sky Striker Mecha – Hornet Drones to his hand. He activated Hornet Drones to Summon a Sky Striker Ace Token to the center of his field and then used that Token to Link Summon Sky Striker Ace – Kagari. He activated Kagari’s effect to add Engage to his hand and then activated it to add another Hornet Drones to his hand. Next, he activated the Hornet Drones to Special Summon another Sky Striker Ace Token, and Normal Summoned Trickstar Candina. He used Candina’s effect to add Trickstar Lilybell to his hand and then combined all of his monsters to Link Summon Saryuja Skill Dread! He activated its effect to draw 4 cards and put 3 cards from his hand on the bottom of his Deck. He activated Pot of Desires next, banishing the top 10 cards of his Deck face-down to draw 2 cards. He Set 2 cards to his back row before passing. De Obaldia opened up Twin Twisters, Mind Control, Trickstar Light Stage, Sky Striker Mecha – Hornet Drones, and Terraforming. He drew Droll & Lock Bird for turn, targeting Reyes’s two face-down cards, and Reyes Chained Scapegoat! He Special Summoned 4 Sheep Tokens and lost his face-down Twin Twisters. Next, De Obaldia activated Trickstar Light Stage, adding Trickstar Candina to his hand. Reyes discarded Droll & Lock Bird to prevent De Obaldia from searching for any other cards that turn. He activated Hornet Drones to Special Summon a Token and then used that Token to Link Summon Sky Striker Ace – Kagari. He used Kagari’s effect to add Hornet Drones from his Graveyard to his hand. 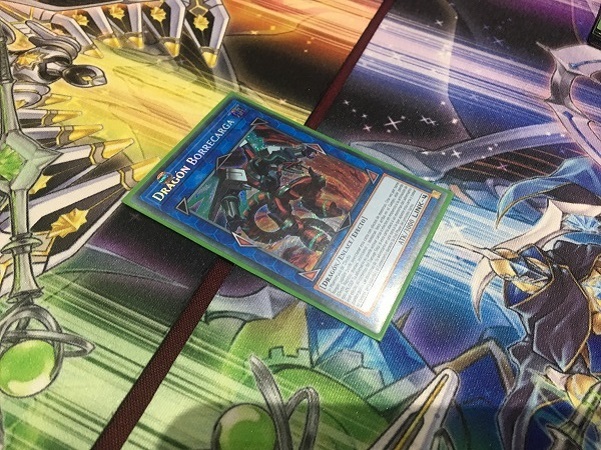 Next, De Obaldia activated the Hornet Drones to Summon a Sky Striker Ace Token, which he used to Link Summon Link Spider in the Monster Card Zone to which Saryuja Skull Dread pointed. He Normal Summoned Candina next and attacked 3 Sheep Tokens to destroy them. Reyes was left with his Saryuja and 1 Sheep Token. In Main Phase 2, De Obaldia activated Mind Control to take control of Saryuja Skull Dread. He combined all 4 monsters to Summon Borreload Dragon and then ended his turn! Reyes used a Sheep Token to Link Summon Link Spider and then activated Hornet Drones to Summon a Sky Striker Ace Token. 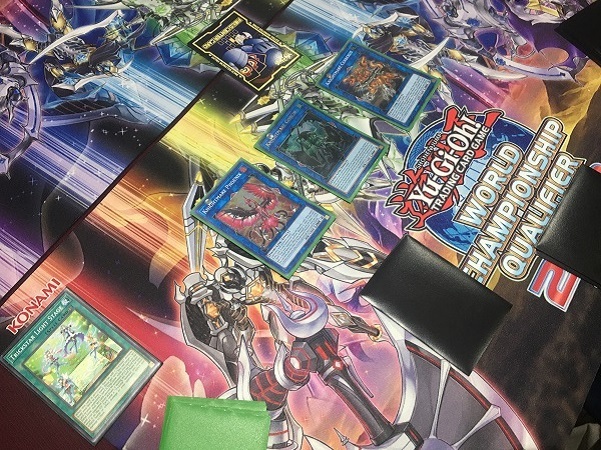 He used the Token to Link Summon Sky Striker Ace – Kagari behind Link Spider and then used Kagari’s effect to add Hornet Drones from his Graveyard to his hand. He then combined Kagari with Link Spider to Link Summon Space Insulator and activated Hornet Drones to Special Summon another Token. He used that Token to Link Summon Link Spider behind it, and then Normal Summoned Ash Blossom & Joyous Spring. He combined all 3 of his monsters to Link Summon his own Borreload Dragon! He attacked and took control of De Obaldia’s Borreload, and then attacked directly with it! He Set a card to his back row and passed. De Obaldia drew Sky Striker Mobilize – Engage!! He used his Light Stage to pin down Reyes’s face-down card, and then activated Engage to add Hornet Drones to his hand and draw Terraforming. He used a Terraforming to add a Light Stage to his hand and then used a Hornet Drones to Summon a Token and Link Summon Kagari. He used Kagari to add another Engage to his hand, and activated that to add Sky Striker Maneuver – Jamming Waves! to his hand and draw Scapegoat! He used Jamming Waves to destroy a face-down Terraforming and the Borreload in Reyes’s Extra Monster Zone, and then activated Light Stage to add a Candina to his hand. He Summoned the Candina and used its effect to add Trickstar Reincarnation to his hand. He activated Terraforming next, adding another Light Stage to his hand, and used the Light Stage to add Lilybell to his hand. He used Lilybell’s effect to Special Summon it, and then combined Candina with Kagari to Link Summon Knightmare Phoenix. He used the Phoenix’s effect to destroy Reyes’s Light Stage by discarding Reincarnation, and then attacked directly with Lilybell, adding Candina to his hand. He banished Reincarnation from his Graveyard to Special Summon Lycoris and then combined all of his monsters to Link Summon Topologic Bomber Dragon! In the End Phase, the stolen Borreload was sent from Reyes’s field to the Graveyard. Reyes drew a card and Set it to his Monster Card Zone with no other cards in his hand or on his field. In the End Phase, De Obaldia activated Scapegoat, Summoning 4 Tokens, including Tokens Linked to Bomber Dragon! The Dragon then destroyed all cards in the Main Monster Zones, including Reyes’s face-down Ash Blossom & Joyous Spring! De Obaldia Summoned Candina on his next turn and attacked directly with Candina and Topologic Bomber Dragon. He then used Lycoris’s effect to return Candina to his hand and Special Summon Lycoris, scoring another direct attack. Reyes dropped down to just 200 Life Points. When Reyes drew a card on his next turn, his Life Points dropped to 0 due to Lycoris’s effect. 2010 World Champion Galileo De Obaldia takes a 2-0 victory in Round 1 to advance with a 1-0 record in the 2018 Central America WCQ!